We develop a new metric for the distribution of educational achievement across countries that can further track the cognitive skill distribution within countries and over time. Cross-country growth regressions generate a close relationship between educational achievement and GDP growth that is remarkably stable across extensive sensitivity analyses of specification, time period, and country samples. In a series of now-common microeconometric approaches for addressing causality, we narrow the range of plausible interpretations of this strong cognitive skills-growth relationship. 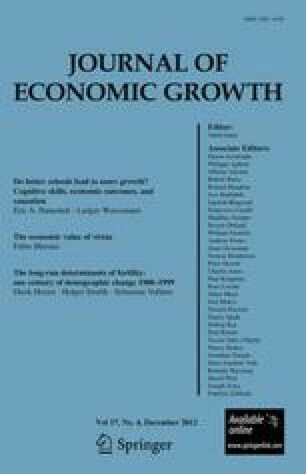 These alternative estimation approaches, including instrumental variables, difference-in-differences among immigrants on the U.S. labor market, and longitudinal analysis of changes in cognitive skills and in growth rates, leave the stylized fact of a strong impact of cognitive skills unchanged. Moreover, the results indicate that school policy can be an important instrument to spur growth. The shares of basic literates and high performers have independent relationships with growth, the latter being larger in poorer countries.